There are loads of bonuses to caring for or owning a pet, and of course, many responsibilities as well. Pets should enjoy a safe, loving environment, a good diet, and be given regular health checks. They should also be suitably cared for when their owners are away on holiday. 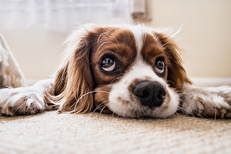 While a reputable kennel or cattery can provide a solution, many owners prefer to have their pets cared for in their own home environment where they are familiar with their own smells, toys and sounds. Diverse, multi cultural and known as the ‘World capital city of Pop Music’, Liverpool has much on offer for travellers and visitors alike. With its well known musical history, friendly people and a strong sporting identity, many people are unaware of the culture, art, bustling port and many interesting architectural features that are also an important part of Liverpool.